America's Favorite Family Returns For A Halloween Special! The Robertsons scare up more fun in Duck Dynasty®: Quack Or Treat arriving on DVD September 2 from Lionsgate Home Entertainment. Timed to release around the Robertson’s highly anticipated new book, Phil, Willie, Si and Jase Robertson get their costumes ready to do some serious pumpkin carving and trick or treating. 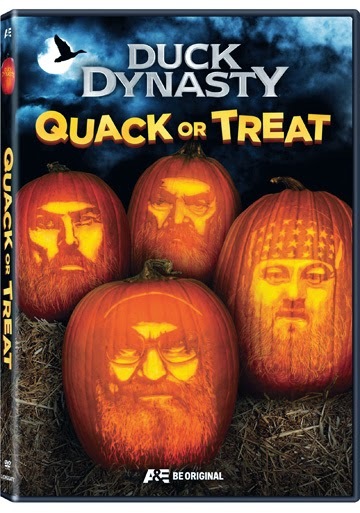 Including three classic Halloween-themed episodes from the series, the Duck Dynasty: Quack Or Treat DVD will be available for the suggested retail price of $9.98.